Many families and children around the world are unable to afford the medicine and care they desperately need. 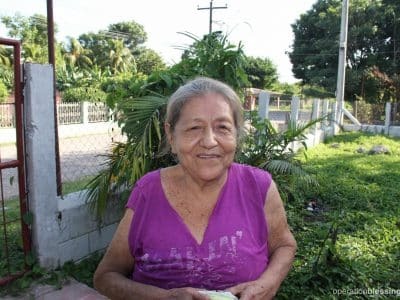 Through medical gifts-in-kind generously donated by pharmaceutical companies, Operation Blessing is able to stand in the gap and make a difference for these vulnerable people—a difference that could save a life. We work with more than 400 in-country health and community organizations and also provide access to free medicine through mobile clinics, hospitals, health centers and more. If your company would like to donate, know that we are committed to making sure your medical gift-in-kind donations go straight to those in the most need. Operation Blessing has initiated a variety of strategic partnerships and special projects targeting community health and medical relief. We have a three step global health strategy for strengthening local health systems and improving access to quality medical care for individuals in resource-limited circumstances. We equip hospitals and clinics with medicine and diagnostic machines, decreasing the financial burden on the health facility. This provides a higher quality of care—at no charge to the patient. We conduct our mobile medical missions in the most geographically isolated areas, improving access to health care for people living in the country’s poorest regions. Strategic partnerships, like our partnership with the Mayo Clinic, create long-term, sustainable improvement in healthcare worldwide by offering educational programs to medical professionals. We also provide disease management training for local volunteers who serve as Community Health Workers. 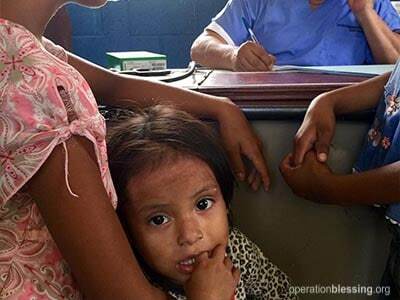 Can Operation Blessing track their medical missions? Operation Blessing has launched an innovative program designed to improve medical data collection and to streamline communication for health care providers serving the poorest of the poor. We’ve partnered with Old Dominion University to develop an electronic record system that allows medical staff to track the progress of patients they treat on a medical mission using tablet devices. What does Operation Blessing do with my donations? Operation Blessing’s team is committed to delivering your medical gifts-in-kind directly to those who need it. With our network of in-country health and community organizations, mobile clinics, hospitals, health centers, and more, we can easily pair your donation with a facility or mission where it can make a difference. 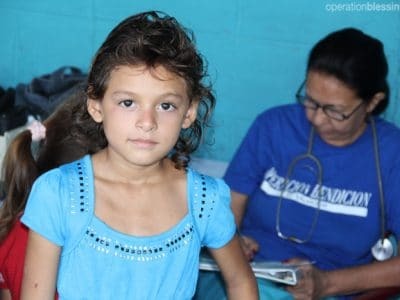 Operation Blessing’s community health programs address the greatest public health needs in developing countries by providing primary care to people who would otherwise have limited to no access to adequate medicine. Below are some of the ways we provide medical services. We train Community Health Workers in the areas of hygiene, nutrition, infectious diseases, clean water, first aid and management of medicines. 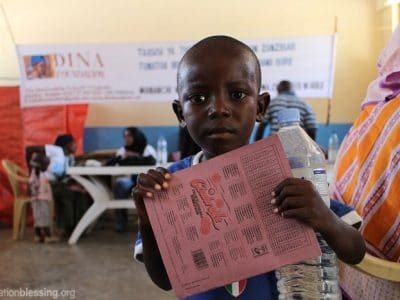 We give each a backpack of medicines and medical supplies, so they may treat individuals on an ongoing basis with the guidance of our staff physician. In places where remote communities do have access to a nearby clinic, there is often the problem of under-funding. Without the proper medicines to treat people, these facilities are unable to live up to their full potential. 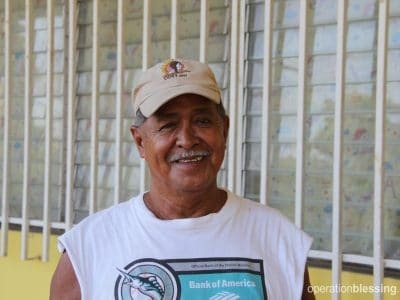 Operation Blessing helps stock the shelves with medicines and medical supplies, so these clinics can better serve their community at no cost, thanks to the generosity of our donors. Weekly, our staff serve 200 to 500 people per medical mission, bringing personalized healthcare to remote areas. With a staff of physicians, nurses and other ancillary medical professionals, we travel to meet patients who lack transportation or are too ill to travel to available clinics or hospitals. We are proud to work with in-country hospitals by donating GIK medicine to offset the cost of providing quality medical care to the communities they serve. With this new-found financial freedom, hospitals are able to provide more free medical services to those who are unable to pay, and to reinvest the finances that would have otherwise been used for medicine.